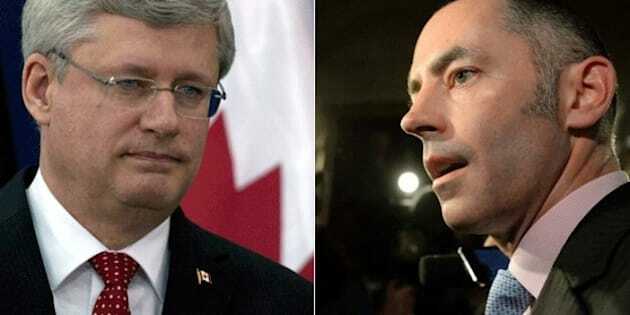 OTTAWA - A major Canadian Muslim group is demanding an apology from Prime Minister Stephen Harper and his chief spokesman for a comment it says linked the organization to a terrorist group. The council had criticized the inclusion of a controversial rabbi in Harper's delegation that went to the Middle East last week. The council says MacDonald's comment was a deliberate attempt to discredit the group and Harper is responsible for the words uttered by his spokesman. The Prime Minister's Office responded tersely: "As this matter may be the subject of litigation, we have no further comment." "Whether we go through with the lawsuit is going to depend on a number of factors, namely the quality, timing and content of the public apology and retraction," he said. Gardee said MacDonald's comment was "categorically false, offensive and defamatory." The libel notice said MacDonald's statement was unwarranted. "The defamatory words were stated maliciously in order to discredit and insult an organization that did nothing other than exercise its constitutional right to freedom of expression to criticize a decision made by the prime minister," it said. "Mr. MacDonald simply made up that statement in an effort to discredit NCCM and deflect its criticism of Mr. Harper." The council describes itself as an independent, non-partisan, non-profit group which has worked for 14 years on human rights and civil liberties issues on behalf of Canadian Muslims. "This defamation endangers the very valuable work of NCCM and goes against every Canadian democratic principle," she said. "Further, it exposes the members of NCCM and the whole Muslim community to suspicion, hatred and bigotry."